We’ve designed your webpages incorporating the incredible Themify software we’re under license to use. The reason for this is simple. Now you can edit your pages (and indeed, create your own) going forward independent of us. For simple information pages, we may just use the normal WordPress Visual Editor. (If you’re new to WordPress, please first see our tutorial on How to Master WordPress.) However, for creating custom pages, we use the Themify Drag & Drop Builder. This is a page for you to learn and experiment on, using the Themify Builder. You can make a real mess of it, and that’s okay. This page is not seen by site visitors and it is not indexed by search engines. There’s probably just one rule. Have fun! We suggest you view the videos on using the Drag & Drop Builder and the tutorial on Making Edits Using Builder first. While you can edit using the Builder in the front-end and back-end of your site, this page only shows you how to edit via the former. Familiarise yourself with the steps below, and then check the settings I’ve used to create this page for you. Finally, go wild. Mess it up. Do your own thing. Step 1 Logged into WordPress, turn on the Builder. Simply click Turn On Builder in the top-bar and the Themify Builder will appear. Do it now so that you can see how this page is arranged. Step 2 Plan In Row Segments, Work In Modules. The grey Row Segments determine the settings for all the blue Modules within it. In other words, sort of like, “think global, work local”. With the Builder turned on, hover over this page to distinguish between the grey row segments and blue modules. Plan how many Row Segments you may need, and drag in as many Modules as need to make your plan work. The most important Row Segment settings will be discussed in Step 3. Modules can be Text modules, Image modules, Slider modules, Button modules, and so on. Experiment with these modules to get a feel for what is possible. You’ll see we’ve used Text and Image modules on this page. Step 3 Row Segments determine page width and height. 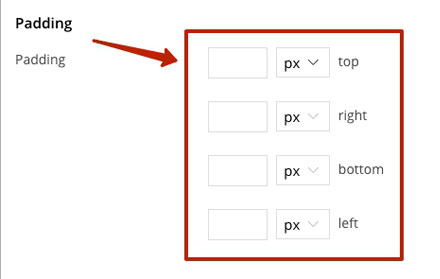 The most important settings in the Row Segment determine the width and height of the viewing page. The first setting that affects these dimensions actually appears in the back-end of the page. 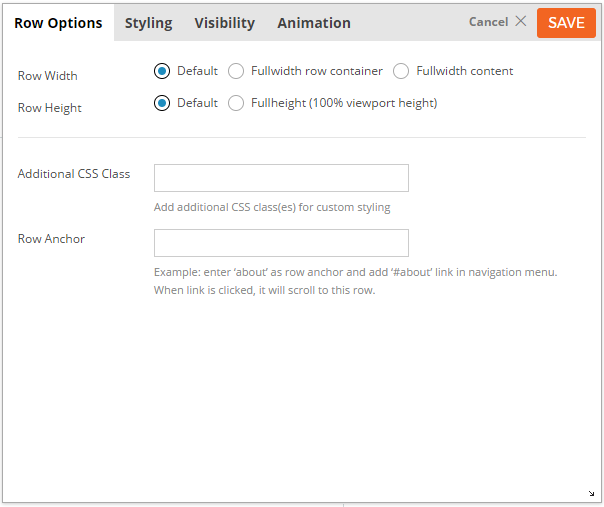 In the Themify Custom Panel, the Content Width can either be set as Default or Fullwidth. Incidentally, this page is set to fullwidth. Export and Import, Copy and Paste, Edit and Style, and Duplicate and Delete. All these are useful, but the one you’ll utilise most is the Edit tool. Click on the Pencil icon. Here you can determine the Row Segment’s width and height. It will affect all the Modules within it. 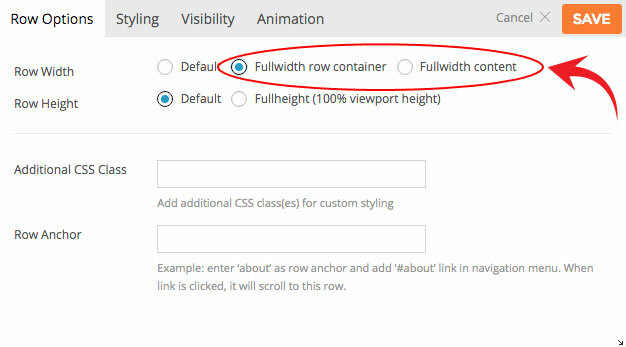 Full Width Row Container = This sets the container to full width but leaves the content as default. Full Width Content = This sets the both the container and content to full width. In the Styling tab, you can configure other settings like a background image or colour, the padding that you’re looking for (top, bottom, left or right), borders, and more. You can also hide a Row Segment on different devices via Visibility and add Animation too. Experiment with the options here to see what is possible. 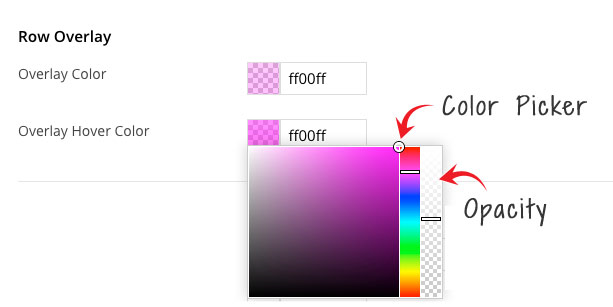 You can adjust both the colour and opacity (transparency) with the colour picker. Yep! Don’t be scared to try anything you want on this test page. Rather make a mess here than on a page we’ve designed for you. Step 4 Use the Module Settings for Specific Customisation. Once you’ve determined the width and height of a Row Segment, use a Module’s settings to set the specific customisation you want. While you may set a background colour or configure the padding in the Row Segment, generally speaking, you’ll use the Module itself to do the rest. Two quick points here are worth making. Don’t double-up on settings. If you want to change the font size, for example, in a Text Module, don’t set it in both the Row Segment and Module. Choose one to avoid extraneous requests and conflicts occurring. • Bottom padding: half the number you choose for top padding. • Left and Right padding: anywhere between 2% and 10% depending on what you’re aiming for. Have a look at the settings I’ve used in the Row Segments and Modules, and then experiment with your own. Remember to SAVE your Modules and to press the orange SAVE button in the Themify Builder itself to ensure your hard work is not lost.